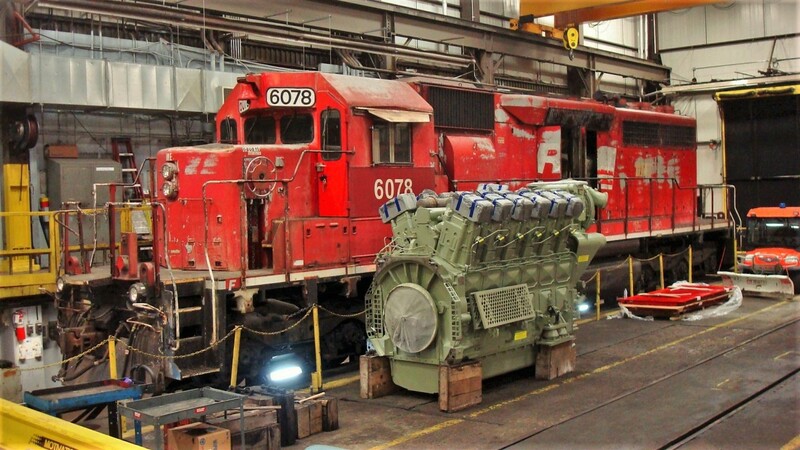 Railpictures.ca - Paul Santos Photo: Posing beside a newly delivered GEVO engine is DME 6078 an ex CP SD40 #5562. | Railpictures.ca – Canadian Railway Photography – photographie ferroviaire Canadienne. Caption: Posing beside a newly delivered GEVO engine is DME 6078 an ex CP SD40 #5562. Should tuck that GEVO under the hood of the 6078. It would cause quite a stir in the yard and trackside. Everyone wondering “where is the turbo whine” with all kinds of speculation as to why it now chugs and rumbles.